Simulation of parallel beams of light striking a convex parabolic mirror whose curvature varies over time. Notice how the light striking the mirror radiates outwards creating a virtual focus behind the mirror. 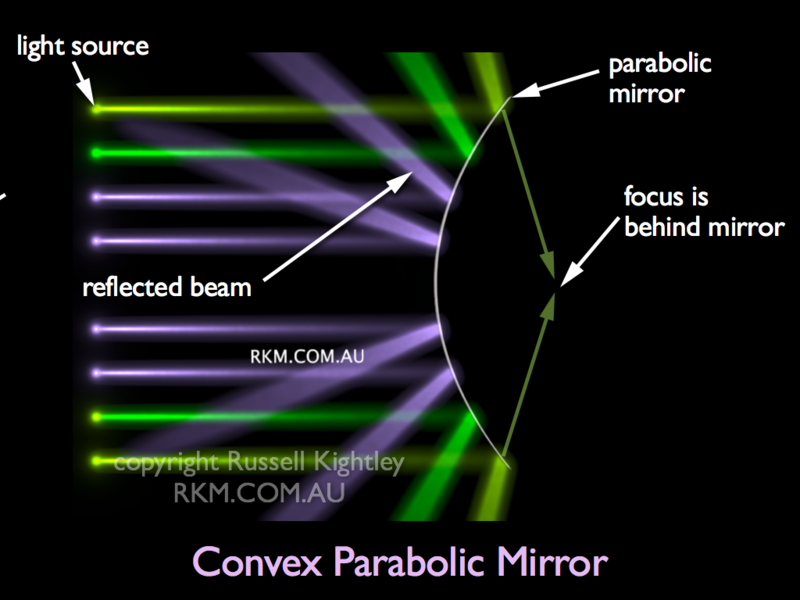 Compare with its inverse the parabolic concave reflector.